Local efforts for higher minimum wages are causing lots of concern to state legislatures and governing entities. The latest round in this battle is in Ohio. Hamilton County, which includes Cincinnati wants to increase the local minimum wage to $12.20 per hour by a ballot initiative this year. However, the Ohio Attorney General Mike DeWine states that local minimum wage ordinances violate the state’s constitution and are not permitted. The current minimum wage in the state is $8.10 per hour. The group that is seeking the ballot initiative, Cincinnatians for a Stronger Economy plans to see further legal advice. But it isn’t just Cinncinnati that is looking to increase local minimum wages. Cleveland, as well, has already announced plans to put a minimum wage increase on the November ballot. DeWine’s opinion is not binding but it could be used to bolster legal challenges if the voters approve the measure in November. Employers simply need to wait and see. Summer sale on The Payroll Pause! Use this code (57BCA4915F814E8) to receive a 10% discount on a one year’s subscription. Save $14.90 off the current retail price of $149. 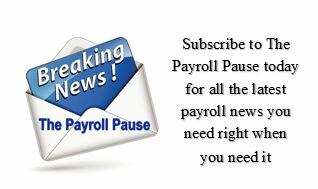 Get all the payroll news you need when you need it right to your desk and get 10% off! But the sale ends September 7th. So subscribe today!